Fraser said "I was happy about the first couple of marriages and the children coming. I'm glad to see the monarchy is carrying on. Back home we love them, so I'm glad to be here as it's happening." New Yorker Christine Kearney, 59, was pleased as well. She said that "I think it's lovely that they're having a family so soon." 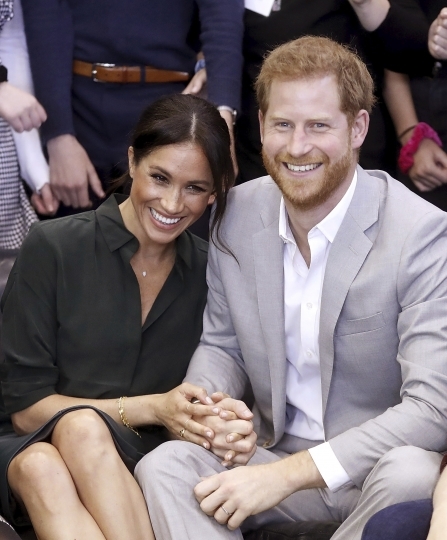 A 51-year-old Australian, Rebecca Courtney, also noted that the pregnancy comes just five months after the couple wed at Windsor Castle. She said that "they certainly didn't waste any time, did they? They didn't get to enjoy married life just as a couple for too long, but it'll be gorgeous with a child." 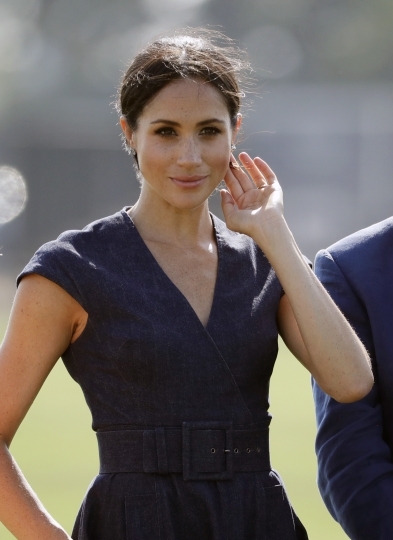 British Prime Minister Theresa May has welcomed the news of Meghan's pregnancy, which provided a bit of relief from concerns about the stalled Brexit negotiations. 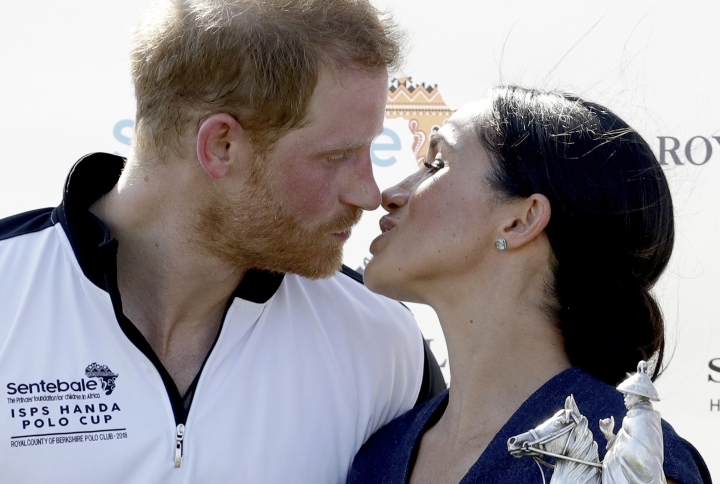 She sent her "warmest congratulations " to Prince Harry and the former Meghan Markle on Monday. May tweeted: "Wishing them all the best." The prime minister wasn't invited to Harry and Meghan's wedding in May. The couple shied away from inviting the country's politicians to focus on family and friends. The child will be their first, and the baby is due in the spring. Kensington Palace made the announcement Monday, hours after Harry and Meghan arrived in Sydney for a 16-day tour of Australia and the South Pacific. Australian Prime Minister Scott Morrison, who will climb the Sydney Harbour Bridge this week with Harry, tweeted: "What fantastic news! Australia is thrilled for you both. Looking forward to sharing in the joy during your stay down under." 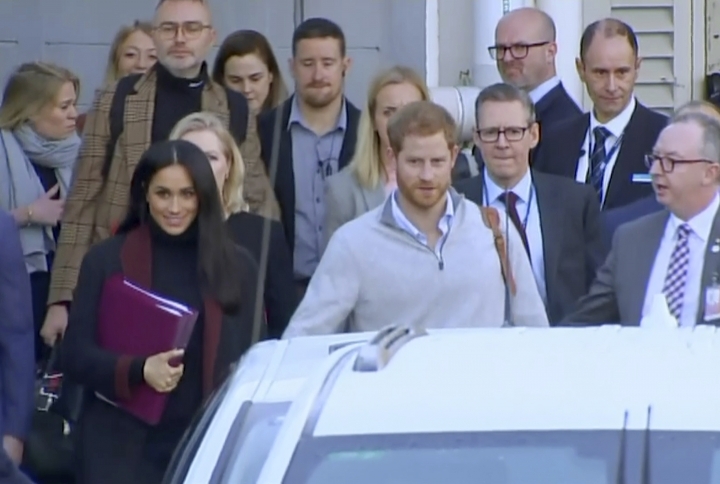 Prince Harry and his wife Meghan Markle have arrived in Sydney a day before they officially start a 16-day tour of Australia and the South Pacific. The prince and the American former actress landed on an overcast Monday morning after a commercial flight from London with a brief stopover in Singapore. They have 76 engagements across 16 days in Australia, Fiji, Tonga and New Zealand. The sporting event founded by Harry in 2014 gives sick and injured military personnel and veterans the opportunity to compete in sports.